Now known internationally for its fresh mountain air, year-round pleasant temperatures, and large community of North American expats, Boquete has changed rapidly since the start of the century, changing from a humble mountain town, into a humble mountain surrounded by gated communities and estates. The air and temperature provides ideal conditions for exploring the surrounding hills though, and this really represents the main appeal of a holiday in Boquete. Local coffee farms and hot springs seal the deal after a long day hiking, climbing, and rafting. Boquete is in Chiriqui Province. Whether you only want to go to Boquete, or have a whole adventure planned, Inspirock has you covered with our user-friendly Panama trip itinerary planner. The road that brings the village together, Avenida Central is a good place to start looking for accommodations, with a number located on and just off this important thoroughfare. Hostels and budget-friendly guesthouses offer quick access to amenities and the central park, whereas plush resorts and spa hotels remain a bit more isolated and cling to the winding country roads. 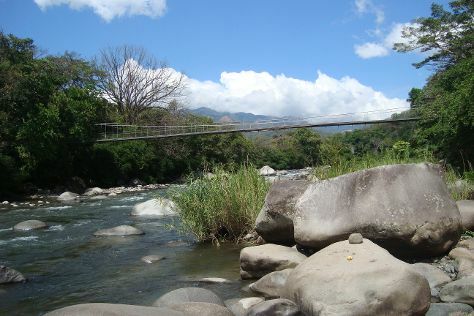 The surrounding hills boast eco-lodges occupying former coffee plantations.